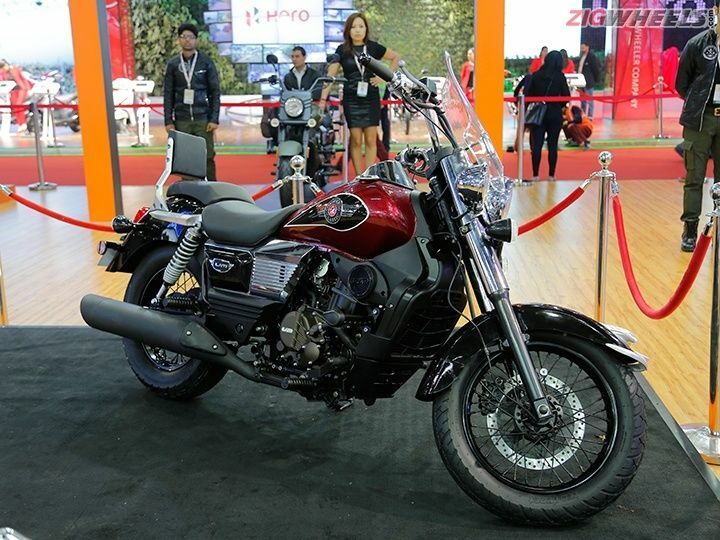 The newest bike of the trio here, the UM Renegade Classic, is a cruiser, just like the Royal Enfield Thunderbird 500, while the Mahindra Mojo is an upright naked that is being touted as a long distance tourer. Which is why we have such wild variations in terms of their dimensions and cycle parts. With its low-slung split seats and wide-spaced handlebars, the Renegade Classic is a cruiser in the tradition American mould, and is being marketed as such in India. The Thunderbird 500 has been around for some time now, and is also in the same mould, albeit with its own Royal Enfield styling cues. Both the bikes employ generous splashes of chrome, throughout their bodywork, just as you’d expect from most cruisers. Then there’s the Mojo, with its upright and just-so-slightly leaned forward posture. It also boasts of the most upmarket suspension components: beefy upside-down forks up front and a monoshock at the rear. At 195 kg, the Thunderbird 500 is the heaviest of the lot by quite a margin, followed by the Renegade Classic at 172 kilos, while the Mojo is the lightest of the bunch here at 166 kilos (all kerb). The Mojo is the best equipped bike here by a big margin. It gets twin exhaust cans at the rear –something that has divided opinions here at the ZigWheels office - as well as petal discs at both ends. Along with the aforementioned upside down front forks and the rear monoshock, it is also the only one here to employ an analo-digital console, along with a shift light (though the other two has small LCD readouts). The Mojo also comes with the option of higher-spec Pirelli tyres for better handling and grip. It features LED daytime-running lights and twin headlamps while the Thunderbird gets projector headlamps for better illumination at night and LED tail lamps. The biggest standout feature of the Renegade Classic that the other two motorcycles lack is an USB port that can be used to charge cellphones and sundry small electronic gadgets on the move. The Renegade also gets “blind-spot mirrors” that reportedly give riders a better view of the rear’s surroundings. None of the three bikes here come with ABS, even as part of optional equipment. Powering the Renegade Classic is a 278cc, air-cooled single cylinder engine producing 25PS of power and 22Nm of torque, mated to a six-speed transmission. UM claims a top speed of 125 kmph for the bike, which we think is pretty optimistic for a cruiser of this size, and can’t wait to test out when it comes to us for a review. Motive power on the Mojo comes from a 295cc liquid-cooled, single-cylinder engine fed through an electronic fuel-injection system, producing 27PS and 30Nm, while the transmission is also a six-speeder. Then there’s the Thunderbird 500 whose 499cc air-cooled engine produces 27.5PS and 41.3Nm, paired to the only 5-speed transmission here. All the three bikes here are priced within Rs 10,000 of each other, which is why we have zoned in on them for the purpose of this spec comparison in the first place. At Rs 1.73 lakh, the Royal Enfield Thunderbird 500 is the most expensive of the bunch here but, in its defence, it comes with the largest engine in this bunch, although low on power and torque. It is also a Royal Enfield, and this is a brand that enjoys a dedicated fan following in the country like no other. The UM Renegade Classic, the most premium among three variants that also comprise of the Renegade Commando and the Renegade Sport S, will set you back by Rs 1.69 lakh, while the Mahindra Mojo – with its more upmarket cycle parts - retails for Rs 1.63 lakh (all ex-showroom, Delhi).